Yahsat, based in the United Arab Emirates (UAE) and wholly owned by Mubadala Investment Company, and Hughes Network Systems (HUGHES), a subsidiary of EchoStar Corporation (NASDAQ: SATS), have signed an agreement to enter into a joint venture to provide commercial Ka-band satellite broadband services across Africa, the Middle East and southwest Asia. This new venture combines Hughes expertise as a global leader in broadband satellite networks and services with Yahsat’s position and knowledge as the leader in satellite broadband solutions across these regions. Hughes will purchase a minority interest in the venture. The new venture will continue to provide unserved and underserved communities with reliable, high-speed Internet services operating over Yahsat’s Al Yah 2 (AY2) and Al Yah 3 (AY3) Ka-band satellites, and leveraging the capabilities of the Hughes JUPITER™ System, designed and optimized for large-scale High-Throughput Satellites (HTS). Hughes will also supply its proven Operating and Business Support System (OSS/BSS) solutions for comprehensive network operations and management. Initially, the venture will focus on “direct-to-premise services” to homes and small- to medium-sized enterprises, and to community centers and schools that are served under local government programs across these regions. In parallel, there will be an increased focus on “community hotspot” solutions to make satellite-enabled broadband more accessible to many more users across the AY2 and AY3 footprint, which currently covers more than 1 billion people. In addition, the venture will also aim to capitalize on the accelerating transition towards Ka-band based backhaul and carrier solutions from mobile network operators. Completion of the transaction is subject to customary regulatory approvals and closing conditions, and is expected to occur later this year. Masood M. Sharif Mahmood, the CEO of Yahsat, said that the partnership with Hughes plays a significant role in Yahsat’s growth story and serves as an important step in achieving the company’s vision to providing global satellite broadband services to individuals, communities, governments and businesses in unserved and underserved communities. He added that Yahsat’s remarkable track record and experience in operating YahClick, combined with Hughes technology leadership and experience, are a winning proposition to unlock the mass market potential of satellite broadband services across the region. Mahmood is very pleased to see the firm’s longstanding partnership with Hughes as a supplier over the years now advance to this strategic and very important joint venture for Yahsat. Pradman Kaul, President of Hughes, added that Yahsat has been a valued customer for many years, incorporating the company’s JUPITER System and operating expertise into their services. This next step in this beneficial relationship is a natural evolution that builds on the firms’ shared commitment to connecting the unconnected and reflects the company’s strategy to partner with leading providers around the world. The Hughes investment in this venture will expand the company’s presence in Africa, the Middle East and southwest Asia markets, where broadband demand is expected to grow exponentially during the coming years. Dario Zamarian, the Group President of SSL, offers his thoughts regarding his experience at the recent Euroconsult World Satellite Business Week (WSBW) conference. 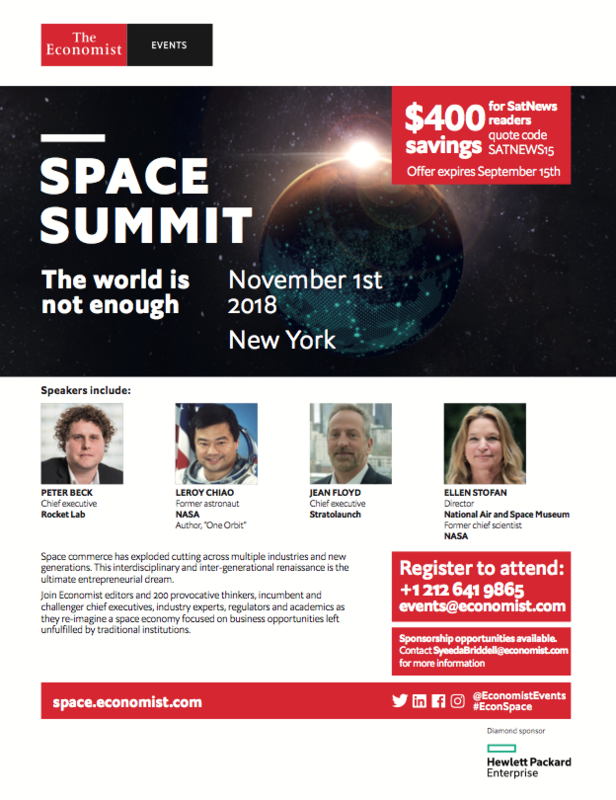 “This was an excellent opportunity to meet with the greater ecosystem of satellite operators, launch providers, manufacturers, service providers and suppliers for an update on the industry. In conference sessions, at lunch and in private meetings, we discussed how we as an industry are adapting to the changing market landscape and how disruptive innovation and promising new technologies are propelling the industry forward. “There is agreement we must profoundly reconsider architectures in space and the general consensus is that will include standardized platforms with flexibility enabled by software-defined payloads. Advanced robotics will also come into play, enabling assembly and satellite servicing on orbit and a reconfigurable space infrastructure with very different economies of scale. “SSL and many of our colleagues project optical payloads, quantum encryption, and a new generation of flexibility beyond on-board processing, are all technologies that will make us more competitive and will position satellite to become a logical extension of 5G networks, enabling the goal of ubiquitous global coverage. “Partnering and working together was a recurring theme at the event. Our consortium with Thales to develop the Telesat LEO constellation is just one example. Hughes announced it is forming a joint venture with Yahsat to extend broadband services in the Middle East, and Brazilian satellite operator Star One discussed how it partners with its sister company Claro to complement its mobile network in areas that lack terrestrial infrastructure. In other partnerships agreements, SKY Perfect JSAT and Hispasat have both invested in LeoSat, which underscores the interest in integrating LEO, GEO and MEO systems into the greater telecom infrastructure. “Sentiment at the conclusion of the conference was mixed, as the satellite community acknowledges near- term challenges. However, this is an industry has a history of reinventing itself. One of my goals in meeting with customers was to deepen my understanding of where the business is going and I sensed renewed interest in working together to develop the right solutions to meet current and future demand. “In reflecting on the discussions at the conference, I want to reassure the industry that our culture and commitment to our customers has not changed. SSL continues to put the customer first and to focus on performance, reliability, schedule and cost, no matter what the future brings. “The conference reminded me what a significant force SSL is in the satellite ecosystem and how much our industry colleagues are aligned with us in the goal of emerging from the current uncertainty as quickly as possible. It is this spirit of support and collaboration that bonds us as an industry and makes conferences like World Satellite Business Week both enjoyable and essential to moving our businesses forward. 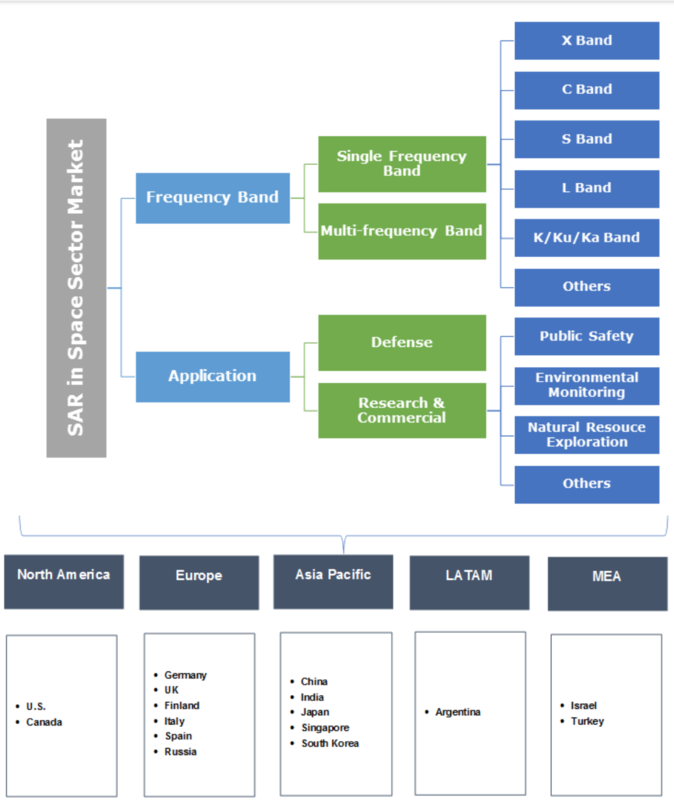 According to a recent research report by the market research and strategy consulting firm, Global Market Insights, Inc, the SAR in Space Sector Market will witness gains at 11.5 percent from 2018 to 2024. Europe accounted for the largest share in 2017, is expected to cross $2 billion by 2024. This can be credited to the high number of projects in Russia, Germany, the UK, and Finland. Moreover, high emphasis of European Space Agency (ESA) on navigation, earth observation, scientific program, technology support, and situational awareness has significantly contributed to the industry growth. According to the ESA budget for 2018, over 52 percent of the assigned budget capital was dedicated towards these activities, driving the SAR in space sector market growth. Growing commercialization of imagery data obtained through these satellites are among the major trend gaining traction in the SAR in space sector market. Requirement to capitalize on these business opportunities has in turn led to intense competitive scenario among the industry participants. For instance, in October 2015, U.S. Department of Commerce (DoC) provided the license to XpressSAR Inc. to operate commercial and private space based synthetic aperture radar sensing system. It was the first wholly U.S. owned company approved to operate constellation of four commercial X-Band radar satellites. For instance, Iceye launched its first micro-satellite with synthetic aperture radar featured with the ability to generate two and three-dimensional imagery in January 2018. These technological advancements are expected to provide strong growth prospects to the SAR in space sector market over the forecast timeframe. Single frequency band contributed the largest industry share in 2017, owing to its conventional applications in the military operations. 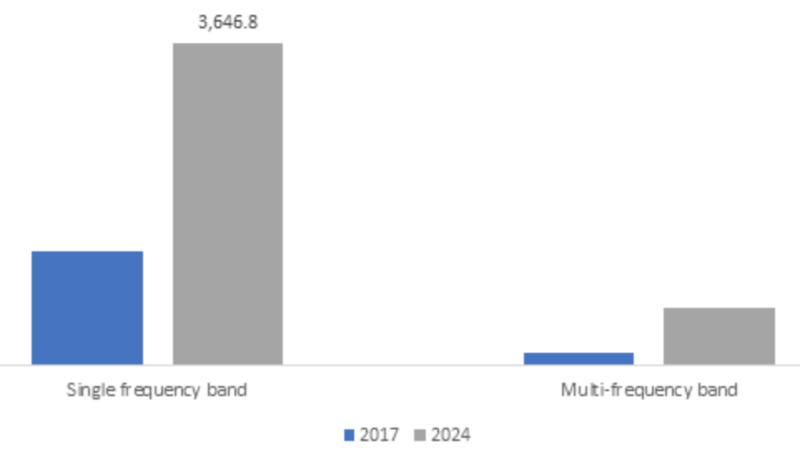 X-band was the largest frequency bandwidth in use in 2017 and is expected to continue its dominance over the forecast period. This can be attributed to its extensive applications in geographical mapping, military surveillance and reconnaissance. Research and commercial applications are expected to witness inorganic growth over the forecast timeframe. Significant growth opportunity in the disaster management, weather updates, meteorology, navigation and natural resource exploration are among the dominant end use that will provide the strong growth prospects to the SAR in space sector market. For instance, multiple constellation projects in Canada are expected to largely focus on the maritime navigation and ocean surveillance for tracking the trade and transport in the North Atlantic Ocean. Global SAR in space sector market share is highly consolidated owing to the requirement of high initial cost, exceptionally skilled workforce, and multiple regulatory compliances. Major industry participants include Airbus SE, BAE Systems, Capella, Harris Corporation, Iceye, Israel Aerospace Industries, Lockheed Martin Corporation, MDA Information Systems, Northrop Grumman Corporation, Raytheon Company, Thales Group and UrtheCast. Industry participants are expected to focus on the development of multi-constellation projects for providing the global image information with updates ranging from hourly to daily basis. For instance, Capella Space is expected to complete deployment of 31 constellations by 2020 to provide hourly updates on the earth observation imagery data by the space borne synthetic aperture radars. The RemoveDEBRIS satellite has successfully used its on board net technology in orbit — the first demonstration in human history of Active Debris Removal (ADR) technology. The spacecraft began the experimental phase of its mission on Sunday, September 16, when it used a net to capture a deployed target simulating a piece of space debris. 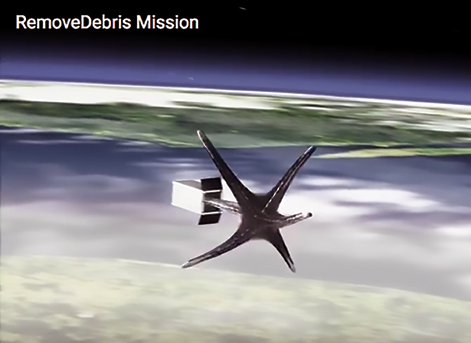 RemoveDEBRIS was designed, built and manufactured by a consortium of leading space companies and research institutions led by the Surrey Space Centre at the University of Surrey. The spacecraft is operated on orbit by engineers at Surrey Satellite Technology Ltd. in Guildford, UK. The project is co-funded by the European Commission. In the coming months, RemoveDEBRIS will test more ADR technologies: a vision-based navigation system that uses cameras and LiDaR technology to analyze and observe potential pieces of debris; the first harpoon capture technology used in orbit; and a drag-sail that will finally bring RemoveDEBRIS into the Earth’s atmosphere where it will be destroyed, bringing its mission to a close. The U.S. Space Surveillance Network tracks 40,000 objects and the estimate is that there are more than 7,600 tons of ‘space junk’ in and around Earth’s orbit, with some moving faster than a speeding bullet, approaching speeds of 30,000 miles per hour. The research leading to these results has received funding from the European Union Seventh Framework Program [FP7/2007-2013] under grant agreement n°607099. Professor Guglielmo Aglietti, Director of the Surrey Space Centre, said that the organization is absolutely delighted with the outcome of the net technology. While it might sound like a simple idea, the complexity of using a net in space to capture a piece of debris took many years of planning, engineering and coordination between the Surrey Space Centre, Airbus and partners; however, there is more work to be done. He added that these are very exciting times for all. Ingo Retat, Airbus RemoveDEBRIS project head, added that to develop this net technology to capture space debris, the team spent six years testing in parabolic flights, in special drop towers and also thermal vacuum chambers. This small team of engineers and technicians have done an amazing job moving one step closer to clearing up LEO of debris. NovelSat NS4 just moved the satellite transmission efficiency bar even higher. 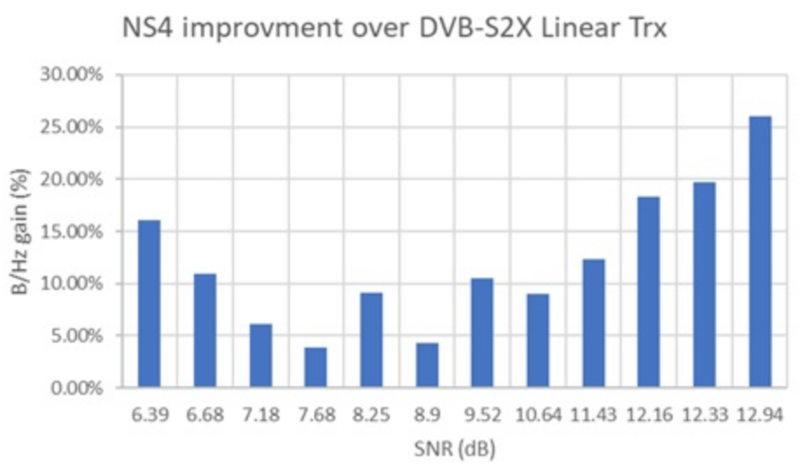 Recent independent testing, confirmed by NovelSat, a provider of satellite transmission technology, revealed that new enhancements to the NovelSat NS4 satellite transmission waveform have further increased its efficiency edge over the DVB-S2X standard. 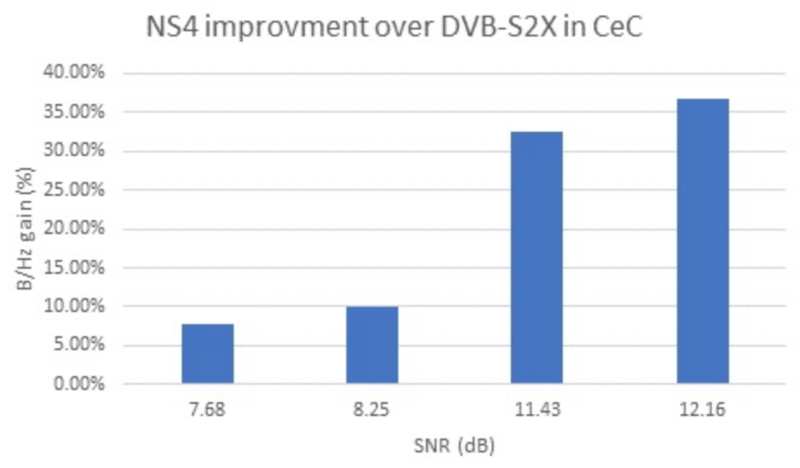 Head-to-head comparison tests performed by a large teleport in the UK reveal that NovelSat NS4 performs up to 32 percent more efficiently compared with DVB-S2X. That translates into more data and video transfer per MHz of bandwidth for satellite communications providers, especially in saturated environments. Live field tests were performed over a 36MHz transponder on both linear (non-saturated) and non-linear (saturated) links. 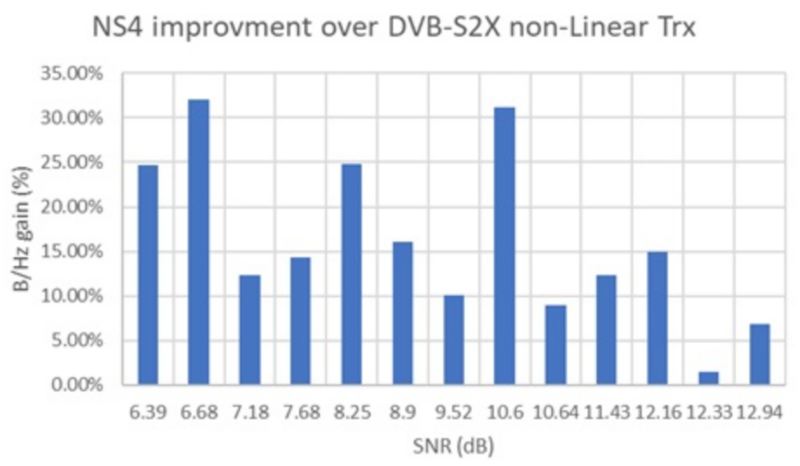 While NovelSat NS4 showed a 22 percent boost in efficiency, compared with DB-S2X over linear links, the results over non-linear links far outstripped previous results, at up to 32 percent better than DVB-S2X. The enhancements that NovelSat has made to their NovelSat NS4 waveform set the stage for the company to break the satellite transmission bandwidth efficiency record that it had set with the previous version of NovelSat NS4 (which performed up to 22 percent better than DVB-S2X). The field tests also included linear bi-directional links supported by NovelSat DUET CeC (carrier-echo-cancellation) software-based Band Reuse Technology. NovelSat DUET CeC doubles the effective data rate over the same transponder segment by enabling simultaneous full duplex video, data, and voice communication using the same bandwidth for both uplink and downlink. The results of these bi-directional tests rendered an impressive 37 percent advantage over DVB-S2X on the same links. The NovelSat NS4 satellite transmission waveform can be implemented on any NovelSat satellite modem, modulator or demodulator — which also support DVB-S, DVB-S2, DVB-S2X and DVB-CID standards. Existing NovelSat customers can benefit from the new NovelSat NS4 enhancements through easy OTA (Over-the-Air) software upgrades. 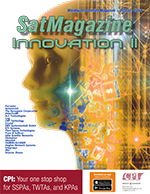 Itzik Wulkan, NovelSat CEO, said that their engineers are on a constant quest to break the satellite transmission efficiency records that they have consistently set over the last seven years. Their broadcast and data transmission customers are constantly increasing the load on their satellite links. With these new enhancements to NovelSat NS4, their clients will transmit even more data and video without increasing their budget of expensive satellite bandwidth. The combination creates the world’s largest audio entertainment company, with more than $7 billion in expected pro-forma revenue in 2018 and strong, long-term growth opportunities. This strategic transaction builds on SiriusXM’s position as the leader in subscription radio and a critically-acclaimed curator of exclusive audio programming with the addition of the largest U.S. audio streaming platform. Pandora’s powerful music platform will enable SiriusXM to significantly expand its presence beyond vehicles into the home and other mobile areas. Following the completion of the transaction, there will be no immediate change in listener offerings. across North America and 23 million-plus annual trial listeners and Pandora’s more than 70 million monthly active users, which represents the largest digital audio audience in the U.S.
• Leveraging SiriusXM’s exclusive content and programming with Pandora’s ad-supported and subscription tiers to create unique audio packages, while also using SiriusXM’s extensive automotive relationships to drive Pandora’s in-car distribution music service. • Continuing investments in content, technology, innovation, and expanded monetization opportunities through both ad supported and subscription services in and out of the vehicle. • Supporting and strengthening Pandora’s highly relevant brand. • Creating a promotional platform for emerging and established artists, curated and personalized in ways to deliver the most compelling audio experience that connects artists to their fan bases, as well as new listeners.